Experience The Skies explored blockchain in the travel industry in a two part insights earlier this year. Part 1 introduced the topic and its applications and development in the airline industry (see post). Part 2 provided a more in depth view of how blockchain can be used in settlement, one travel record and marketing opportunities (see post). 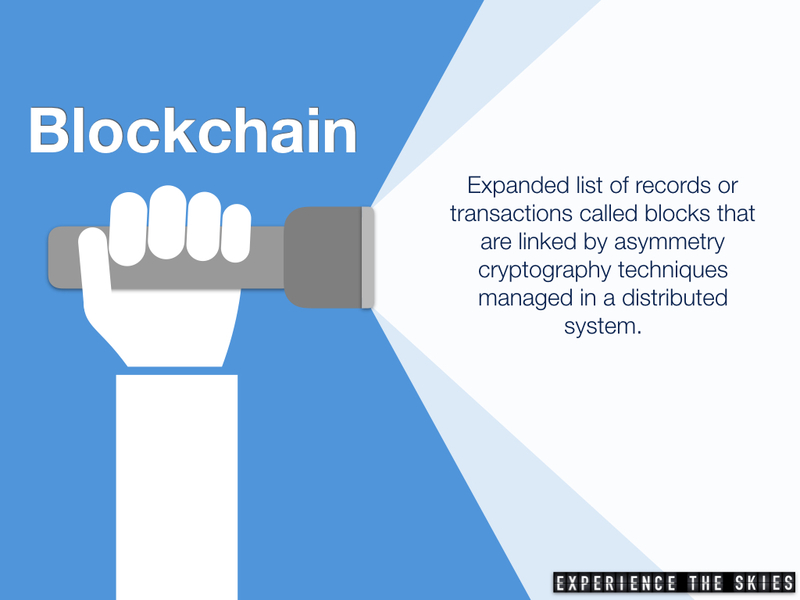 Blockchain are records that cannot be controlled by a single source, have a defined digital audit trail of changes. The record users are identified and secured through authentication. The SIA Group’s KrisFlyer airline loyalty program has been working to KPMG Digital Village and Microsoft to introduce KrisPay on July 24, 2018. 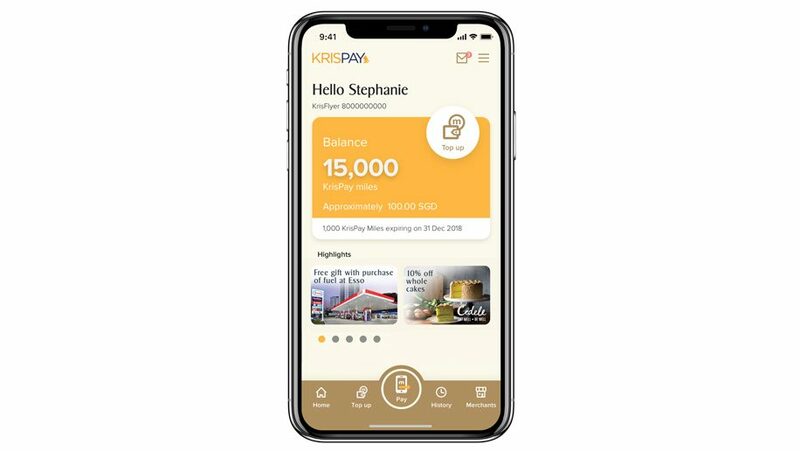 It is the world’s first frequent miles-based digital wallet that allows KrisFlyer members to convert their miles into KrisPay miles instantly for everyday spending at partner merchants in Singapore. Premise: The new platform will allow KrisFlyer members to choose from using as little as 15 KrisPay miles (equivalent to about S$0.10 (~US$0.073 as at July 26, 2018) to pay for their purchases at partner merchants, either partially or in full. The airline recruited 18 merchants in different consumer categories such as beauty services, food and beverage, petrol and retail to participate in the program to start (see table below for merchant information). These partners will offer discounts during the launch period. The first step is to download the KrisPay mobile applications on Android or iOS platforms for free. Second and third steps are to access the KrisFlyer account and transfer KrisFlyer miles to KrisPay miles at a 1 to 1 ratio. The final step is to pay for products and services in full or partially by scanning the QR code using the application (refer to terms and conditions here). Once the KrisFlyer miles are converted to KrisPay miles, users would have 6 months to use them before they expiry. Currently, KrisFlyers can earn redeemable miles through 30 airline partners and more than 200 other partners in the financial, travel, and retail categories. They can also earn miles through shopping online at KrisSpree and KrisShop. Traditionally, airline loyalty program members use these miles to redeem for flights. In the past five years, airlines expanded more options to redeem these miles for items like gift cards or discounts (see post on how Emirates is offering retail discounts at different merchant). The KrisPay innovation is the next level of customer interaction. It allows Singapore Airlines to efficiently recruit new partners and reconcile payments through the use of blockchain technology while forming B2C and B2B relationships. Every transaction will have a digital audit trail which the airline and its partners can use to collect relevant data on usage and participation, link consumer spending habits by category and manage the interaction and correlation of different data subsets for insight. The result allows the airline to gains a better understanding of its KrisFlyer membership by segments and create a more personalized experience based on data analysis. As a quick example, the airline can find out which bubble tea flavor is preferred by its KrisFlyer members and introduce it on board and at its airport lounges for a limited time. The goal is to enable these members to feel more at home. Airlines are constantly looking for ways to expand its brand and revenue streams. Most people may not have Singapore Airlines in mind during their day to day life. Introducing KrisPay into its portfolio allows the airline to play an active role as a lifestyle brand and have customer interactions on a daily basis. This would help the airline identifies new partnerships and locates new revenue streams. As part of its future expansion, Singapore Airlines should explore how to incorporate KrisPay in the end of end travel experience digitally (e.g. paying for Uber heading to the airport, reserving access to the SilverKris lounge, and booking tours while en route to a destination, etc).